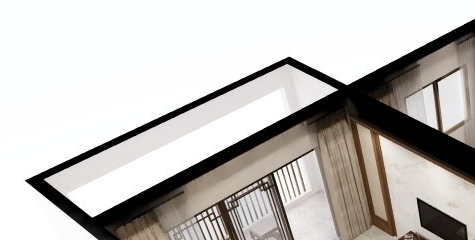 After bake model, the transom become black because of the roof over it. I try to edit lightmap in /img/large/std/lightmap-rgbm0.png, but it only can effect other texture except the black transom. How can I fix it? Is it wrong lightmap path? Extract the wall tops to a new object in the 3D modelling tool. In Shapespark, before baking, assign this new object Custom lightmap resolution of 0 in the Objects tab. Furthermore, if you assign the wall tops a dedicated material, you will be able to easily adjust the color of the wall tops after the scene has been baked.